The issue of guardianship abuse also has caught the attention of the courts. The Supreme Court now oversees the “Certified Professional Guardian Program.”2/ With this program, there are two entities that supervise professional guardians: the Certified Professional Guardian Board and the Superior Court in each county.3/ The Board reports to the Supreme Court. The premise of this article is that this well-meaning effort to increase guardianship accountability is misplaced. Although courts traditionally have been responsible for guardianship oversight, they are ill suited for this function. Guardians should be licensed and regulated under the executive branch, not supervised by the courts. For this reason, the Board ordinarily will not accept a complaint about a guardian unless it has first been reviewed by the Superior Court.7/ If the Superior Court finds that the guardian “has failed in some way,” the finding can be forwarded to the Board with a grievance for further proceedings.8/ Otherwise, the complaint ordinarily will be dismissed. Court approval prevents further inquiry. A related problem is that once the court approves a guardian’s accountings, other entities usually will not investigate, although, as noted above, there typically has been little investigation by the court. The Board ordinarily will not investigate due to its deference to the Superior Court. Other entities, e.g., a local fraud unit, likely will not investigate due to the order approving the accounting, which makes it look as if there already has been a full investigation. The prohibition against ex parte contact interferes with a court’s ability to provide effective supervision. In general, successful supervision of an activity requires a close relationship between the supervisor and the person supervised. A good supervisor also should be open to receiving information and complaints from multiple sources. This does not occur in the context of court supervision of guardians due to the prohibition against ex parte contact.21/ The prohibition prevents courts and guardians from developing the necessary close relationships. It also prevents courts from learning about a guardian’s wrongdoing. Persons with information generally are prohibited from contacting the court. If the guardian contests the complaint, the ward or other party will find himself in litigation against the guardian. If the complaint is unsuccessful, the ward or other party may be required to pay the guardian’s fees.23/ With the inherent cost of litigation, courts often are reluctant to perform an in-depth inquiry. 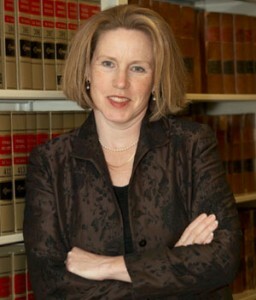 Margaret Dore is an attorney in Seattle. Her published decisions include In Re Guardianship of Stamm, 121 Wn. App. 830, 91 P.3d 126 (2004). She is vice chair of the Elder Law Committee of the ABA Family Law Section and a former chair of the King County Bar Elder Law Section (now the Guardianship and Elder Law Section). Further information is available at www.margaretdore.com. The above article was published in the March 2007 King’s County (WA) Bar Bulletin. Ms. Dore, an attorney who actively seeks reform of guardianship law and inspires other attorneys to do the same, gave NASGA permission to repost her article on our website; and we thank her for her outstanding work. 1 See Jack Leonard, Robin Fields and Evelyn Larrubia, “Guardians for Profit: Justice Sleeps While Seniors Suffer,” Los Angeles Times, November 14, 2005 (http://www.latimes.com/news/local/la-me-conserve14nov14,0,3305612.story), and Barry Yeoman, “Stolen Lives … ,” AARP Magazine, January/February 2004 (http://www.aarpmagazine.org/people/Articles/a2003-11-19-stolenlives.html). Private Web sites reporting guardian abuse tell a similar story. See www.abusiveguardianships.com; justiceforfloridaseniors.org; and www.victimsofguardians.net. 2 See, e.g., Certified Professional Guardian Report to the Supreme Court 2003, Washington Courts Web site,http://www.courts.wa.gov/programs_orgs/guardian/?fa=guardian.ar_2003. 3 Washington Courts Web site, A Grievance Against Certified Professional Guardians, http://www.courts.wa.gov/committee/?fa=committee.display&item_id=697&committee_id=117. 4 Certified Professional Guardian Program, www.courts.wa.gov/programs%5Forgs/guardian/. 5 Certified Professional Guardian Board Report to the Supreme Court 2003, Executive Summary, supra, note 2. 6 File a Grievance Against a Certified Professional Guardian, www.courts.wa.gov/committee/?fa=committee.display&item_id=697&committee_id=117. 9 Washington State Certified Professional Guardian Board, 2005 Report to the Washington State Supreme Court, p. 7, Case No. 2005-001, Washington Courts Web site (linked at http://www.courts.wa.gov/committee/?fa=committee.home&committee_id=118). 10 Cf. In Re Gaddis’ Guardianship, 12 Wn.2d 114, 123, 120 P.2d 849 (1942) (“The guardian is in effect an agent of the court, and through him the court seeks to protect the ward’s interest.”). 11 See, e.g., In re Guardianship of Karen Weed, Snohomish County Cause No. 05-4-01493-3, “Order Approving Inventory, Budget, and Disbursements,” 4/27/06; and In re Guardianship of Marie Charles, King County Cause No. 01-4-02852-6SEA, “Order: Approving Guardian’s Report (Care Plan and Inventory) . . . ,” 8/18/06. 12 Charles, supra; and Weed, supra (approving the guardian’s annuity purchase). 13 See, e.g., RCW 18.51.040, Application for License, and DSHS Web site: http://www.aasa.dshs.wa.gov/pubinfo/housing/other/#NH. 14 See GSS’s Web site (“The aggregate market value of funds held in blocked accounts is $44,564,328.90.”),http://www.trustguard.org/Services/frequently_asked_questions.htm. 16 See, e.g., http://www.dfi.wa.gov/about/director.htm (describing that the director of the Washington State Department of Financial Institutions is appointed by the governor). 17 Maureen O’Hagan, Cheryl Phillips and Justin Mayo, “A Son Struggles to Reveal How Lawyer Was Treating His Mother,” Seattle Times, December 3, 2006. 18 See Washington State Department of Personnel, Specification for Class of Financial Examiner 1 (13300) (linked atwww.dfi.wa.gov/about/careerlisting.htm). 19 See id. (regarding “Class Series Concepts”). 20 Some Superior Courts utilize trained reviewers to assist the commissioner or judge. The commissioner or judge is still, however, the person making the decisions. He or she typically has little or no training in accounting matters. The accountings are, regardless, submitted on the motions calendars with tight deadlines. There often is little or no source data, so the figures presented cannot be verified. 21# See, e.g., CJC 3(A)(4). 22 The Washington Courts’ Web site encourages complainants to hire attorneys: www.courts.wa.gov/programs_orgs/pos_guardian/?fa=pos_guardian.grievance (“By far the best way to advocate for a person who is the subject of a guardianship is to hire an attorney …”). See also note 6, supra. 23 See, e.g., RCW 11.96A.150(1) (allowing a court to award attorneys fees from “any party to the proceedings”). 24 See, e.g., RCW 4.24.510, “Communication to government agency or self-regulatory organization-Immunity from civil liability;” RCW 70.128.200, “Toll-free number for complaints-Discrimination or retaliation prohibited;” and RCW 70.128.090, “Inspections-Generally” (for adult family homes). 25 Office of the Governor Press Release, 9/27/06 (“Governor Schwarzenegger signs Legislation to Provide Safeguards for Vulnerable Californians under the Care of Conservators”), http://gov.ca.gov/index.php?/print-version/press-release/4121/. 26 See Idaho Code 31-3201G (establishing the Guardianship Pilot Project Fund under the Idaho Supreme Court); and Guardianship and Conservatorship Pilot Programs 2006 Report to Governor Butch Otter and the First Regular Session of the 59th Idaho Legislature (describing that two counties will be submitting guardianship filings to the Idaho Department of Finance for a “third party review”). For further information, contact Co-chair, Robert Aldridge (Bob@rlaldridgelaw.com). 27 DSHS’s duties include moving for the appointment of a guardian under RCW ch. 74.34. This duty could create a conflict of interest if DSHS also were the oversight agency. There would be a lack of independence with regard to the guardians so appointed. See, e.g., Guardianship of Roger Bourassa, King County Cause No. 06-4-05643-1KNT, petition filed 10/17/06, p.3 (DSHS petitioned for the appointment of Care Planning Associates, a professional guardian). 28 See http://www.dfi.wa.gov/about/default.htm (“The department is self-supporting, in that none of its operating revenues come from the state’s general tax funds. Its operating revenues are paid by the organizations and individuals it regulates.”).